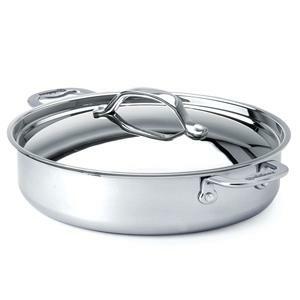 This professional saucepan with lid features a high luster mirror finish and comes with a arched top lid. 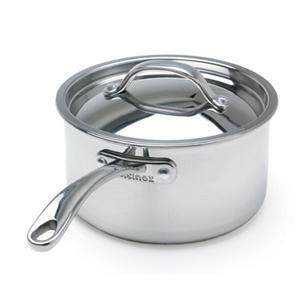 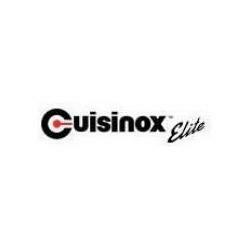 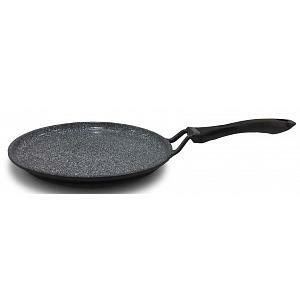 The Cuisinox Elite saucepan is made from professional 3-ply 18/10 stainless steel and has 2 convenient pouring spouts. 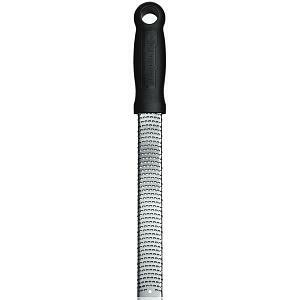 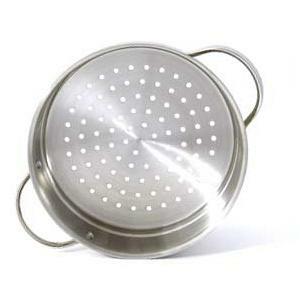 The stainless steel rivets permanently attach the pan's stainless steel handles. 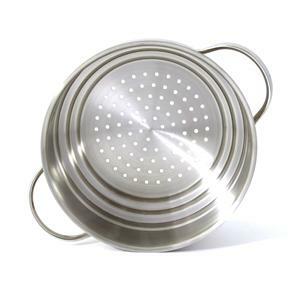 The saucepan features the unique 3-ply Surround Heat technology that evenly and efficiently distributes heat. 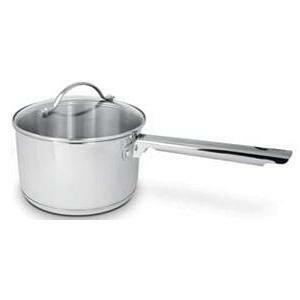 The stainless steel saucepan has graduated interior markings for easy measuring of water and other liquids. 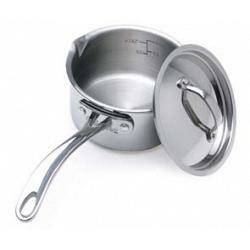 The professional multi-clad saucepan is induction ready, dishwasher safe, has a capacity of 1 liter / 1.06 quarts, a diameter of 14cm / 5.5 inches, and has a 25-Year Warranty.